Aspire is hosting a wide-ranging, sportive program this Ramadan over two weeks from 1 – 14 June with fantastic prizes awaiting team winners. Competitions will be held from 9:30pm until midnight. In collaboration with Qatar Women’s Sport Committee, a volleyball competition will be taking place. Another partnership comes with the Qatar Paralympic Committee for a table tennis challenge. In addition, a Ramadan-long walking competition will be held in Aspire Dome for all ages and genders. The venue will be open daily from 3:00pm to 5:30pm and 8:30pm to 11:30 pm. 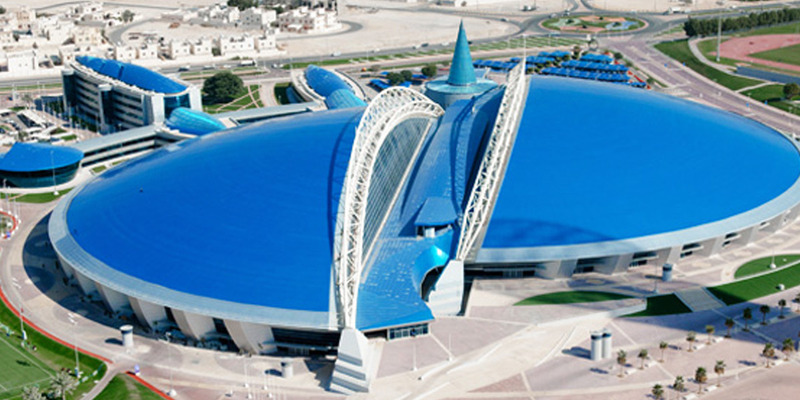 Entry point will be from the back entrance near Hamad Aquatic Center. Participants can get pedometers upon arrival on loan for the walk, and their names will be registered electronically to get identification badges. After they finish, their steps will be logged and the pedometers and badges will be returned. Amazing incentives are waiting our returning walkers. Stay active, stay healthy. In addition to public tournaments, competitions will be held exclusively to Aspire Staff. All together, they make eleven competitions that have been designed to satisfy the thirst of sport enthusiasts during the holy month despite intense summer heat. Aspire is always committed to providing activities that boost the well-being and fitness for all community members. Aspire urges all friends and family members to attend the matches that will take place in the evening to cheer on their favorite teams.